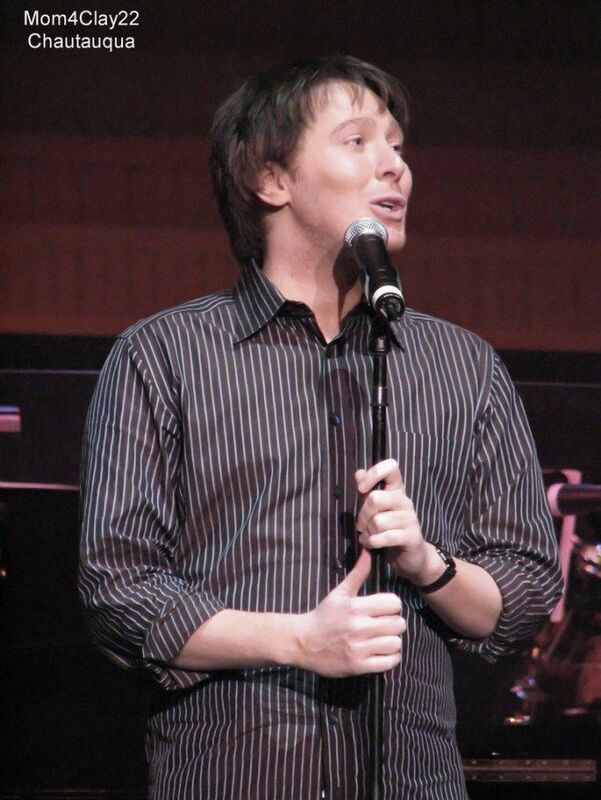 It is always fun when I look back and find something that I just have to watch on YouTube…it’s even better when it is about Clay Aiken. I think you all will enjoy it too. Think back…The West Wing, Perfect Strangers, Full House. These are just a few of the songs that Clay sang, danced, and joked about in his TV Medley. That was way back in the summer of 2007. 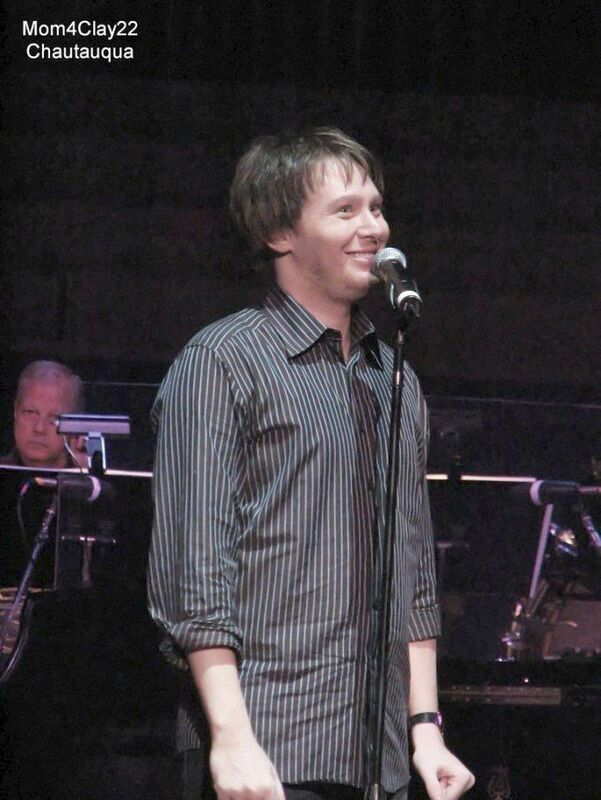 The tour, named the Soft rock in a Hard Place by fans, made a stop in Chautauqua, New York and Clay seemed to be having a great time on stage. Chautauqua is located in the southwestern most corner of New York State. The area is known as a vacation center for families. The region is known for its natural beauty that is blended with a large variety of unique cultural attractions. 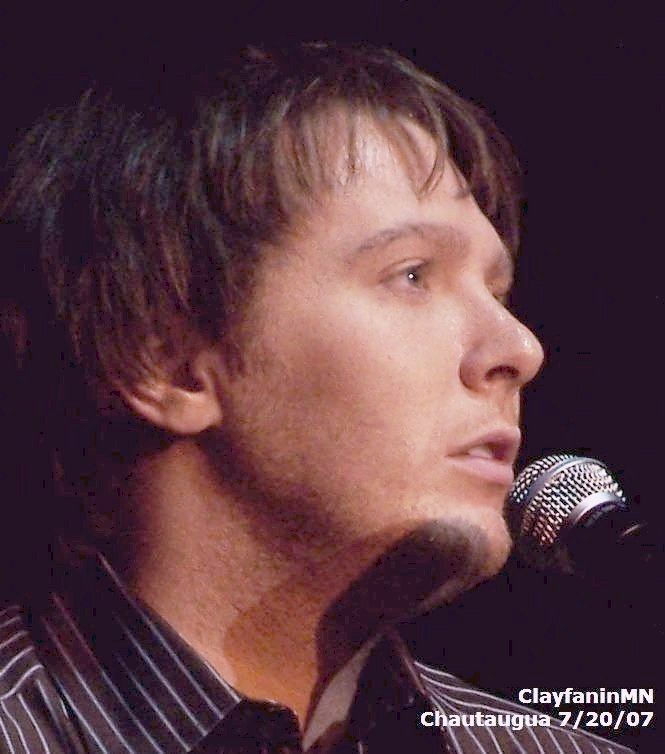 Clay performed at the famous Chautauqua Institute in their Amphitheater. The Institute is a not-for-profit, 750-acre educational center beside Chautauqua Lake in southwestern New York State, where approximately 7,500 persons are in residence on any day during a nine-week season, and a total of over 142,000 attend scheduled public events. Over 8,000 students enroll annually in the Chautauqua Summer Schools that offer courses in art, music, dance, theater, writing skills and a wide variety of special interests. The following videos are great fun. The TV Medley was full of great singing and lots of laughs! I hope you enjoy it even if it is a few years old!! Always enjoy Videos of Clay, he's a great entertainer, should have his own show on TV. Oh what fun! Having my morning coffee and listening to this video of my favorite three people: CLAY, Angela and Quiana! Love this part of the show! Thank you, CANN for Clay memories! Never tire of them! You made me go check my files…What I wrote as the name is what they called it at the ClackHouse. Whatever…it was a great tour!!! Love seeing this again — they were all so good with the TV songs! Such fun! Yes Clay should have his own TV show for sure. I've always said that — he is SO talented. I also love the sweet little lady smiling at him — the one playing the cello. Thank you, CANN for the wonderful memories. I miss Clay so much! I miss those days. Clay, Quiana and Angela were so much fun together! Wish the three of them would work together again. You can’t help but smile and laugh with them. This was a fun concert. The night it was here, there was a crescent moon with a star just below it…beautiful warm evening. Clay got a rave review from the critic in the local paper who was always critical of many performers. Judy, I did EIGHT shows that year!! 1 in Dallas, 4 in California (like you did) and then the last 3 in Florida!!! Amazing experience!! Error: Error validating access token: Session has expired on Tuesday, 21-Aug-18 16:13:01 PDT. The current time is Thursday, 18-Apr-19 11:22:28 PDT.